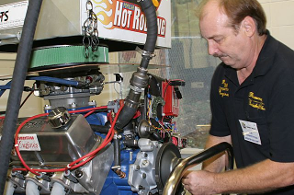 Every Engine or Long Block is assembled by hand with the utmost attention to detail. Balanced and blueprinted with strict tolerances for quality, reliability, and performance unsurpassed in the industry! R.M. Competition has taken its experience in building winning race engines and applied that to its own line of performance engines for All Racing, Street/Strip, Marine applications. From the simple deburring and radiusing of the blocks to the extra care and handling of the matched pistons and other components. We are confident that this will provide our customers with the highest possible quality in every engine that is built!